In this post I want to explain the difference between ODBC and OLE DB.This is what I found based on my reading on the web and my understanding. 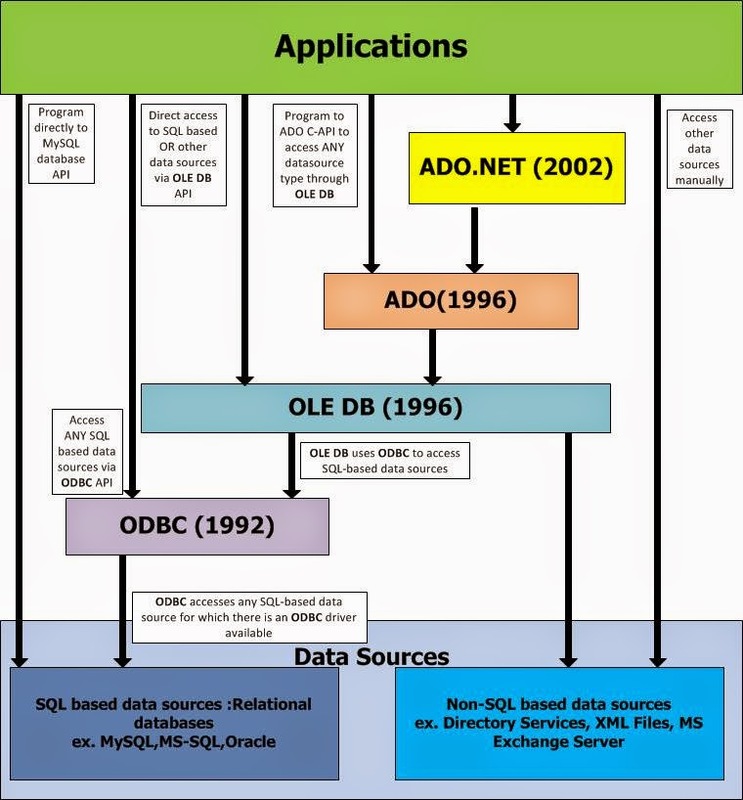 In simple words, ODBC is used only for SQL based data sources whereas OLE DB is used for both SQL and non SQL data sources.I have put in a diagram also below. That might explain it better.